The Scaled Agile Framework® (SAFe®) has been recognized as the leading agile scaling method in the world. SAFe® leads to exceptional execution of big programs revolutionizing the way of planning. The ceremony Program Increment (PI) Planning is a cadence-based, face-to-face big event that serves as the heartbeat of the scaled agile organization, aligning all the teams to a shared Vision. PI planning is essential to SAFe®: If you are not doing it, you are not doing SAFe. No event is more powerful in SAFe. When 100 or so people work together toward a common Vision, it’s amazing how much alignment and energy it creates. Gaining that alignment in just two days can save months of delays. In this session Nina will share her learnings from 20 years as an entrepreneur, CEO and 10 years as an agile practitioner! Nina Prodanova-Iozeva is a highly qualified consultant and leader with more than 20 years of experience in leading highly complex projects and transformations. Nina is a well-known name in the field of Agile, Business Analysis, Enterprise Architecture and IT Service Management. 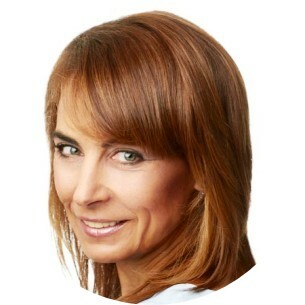 She has delivered consulting and training projects to many of the largest banks and telecom enterprises across Europe and enabled them to introduce improvements in their IT & PMO organizations and become more effective and smarter in their everyday work by introducing forward-thinking, modern and effective solutions and management practices. Most recently, Nina has been recognized as one of the E&Y Entrepreneurial Winning Women in Europe, a program which identifies high-potential female leaders with growing and innovative businesses.